Nose: Subtle, with subdued cereal notes and delicate earthy aromas of blackberry, raspberry and violet. Palate: A soft mouthfeel and thick texture that fills the mouth. 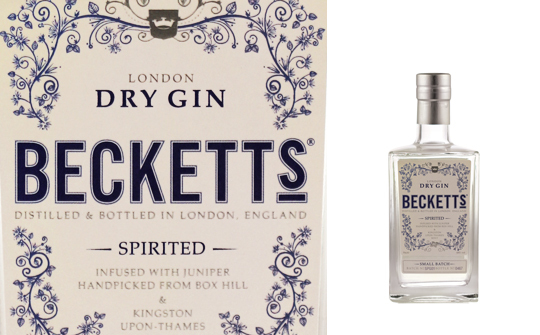 Notes of freshly popped juniper berries, oily coriander, and lemon peel. Finish: Ginger and lemongrass with black pepper and a lingering menthol spice. Comments: A delicate but complex spirit that is worth spending time to discover. A good choice for a Diamond Martini. Nose: A classic London Dry style, with juniper coming to the fore, backed by zesty citrus fruits, pepper and spice, and a hint of coriander. Palate: It has a creamy, rounded and sweet mouthfeel, with a mix of spice and root flavours overriding an initial fruitiness. Finish: Slightly herbal, with a bitter-sweet edge. Comments: Would make a good classic G&T, but try it enhanced with a basil flavoured tonic perhaps and a decorative garnish of redcurrants over the glass edge.